Right, Bloglovin' is reminding me that I have a limited amount of time to transfer my Google Friend Connect followers. Now, I know Google Reader and GFC are different things but there seems to be all sorts of confusion about how this will affect GFC. Anyway, Bloglovin' is far superior. It doesn't have the tendency to decided not to show you your blogs and it's so much easier to use. It's prettier too, which is important to superficial people like me! If you'd like to follow on Bloglovin' (and I seriously recommend you do), visit Becky Bedbug on Bloglovin' and click on the big blue "follow" button at the top left. Easy peasy! it's confusing everyone! google really threw a spanner in it. GFC isn't disappearing, it's just the reading pane that is being removed from blogger. 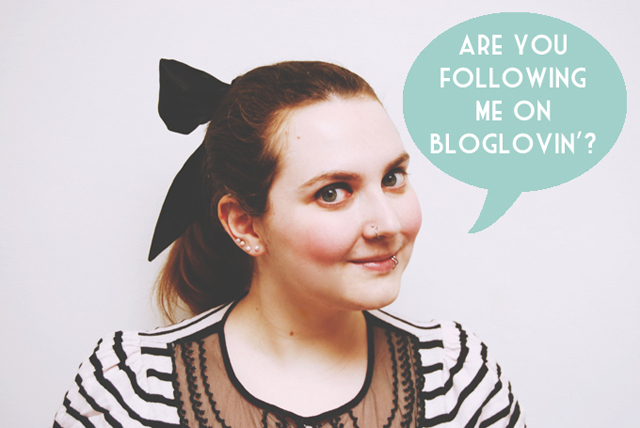 similarly, bloglovin' DOESN'T transfer your followers over - it transfers YOU as a follower..! you will still keep your GFC followers as they are, they just become google+ connections instead now.